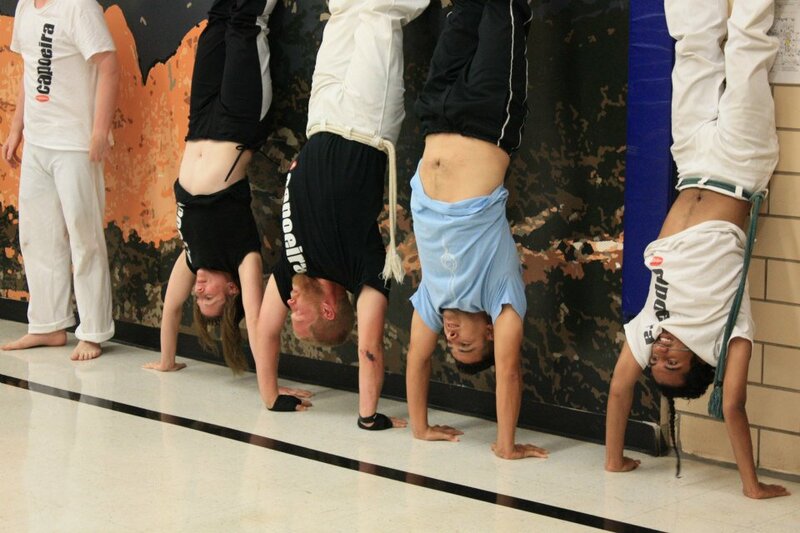 Q: I have never done anything like a cartwheel in my life, how could I possibly do capoeira? About half of all beginning students have either never done a cartwheel or handstand or they did them so long ago that it is not at all relevant. 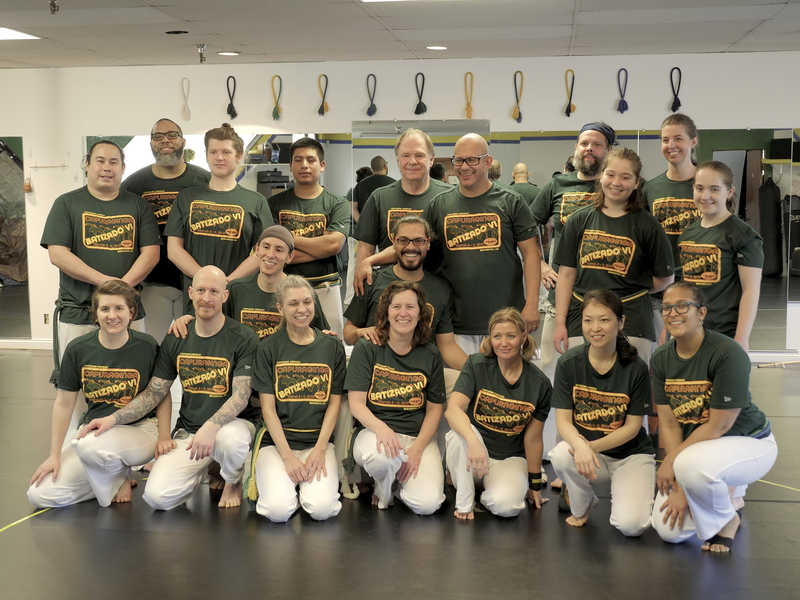 At Capoeira Oregon our progressive curriculum leads each student on their unique path to accomplishment whether it be the first cartwheel or a flying spinning kick. Each student’s progress is marked by their progress toward learning as opposed to setting the same standards for all students to achieve certain acrobatic goals. 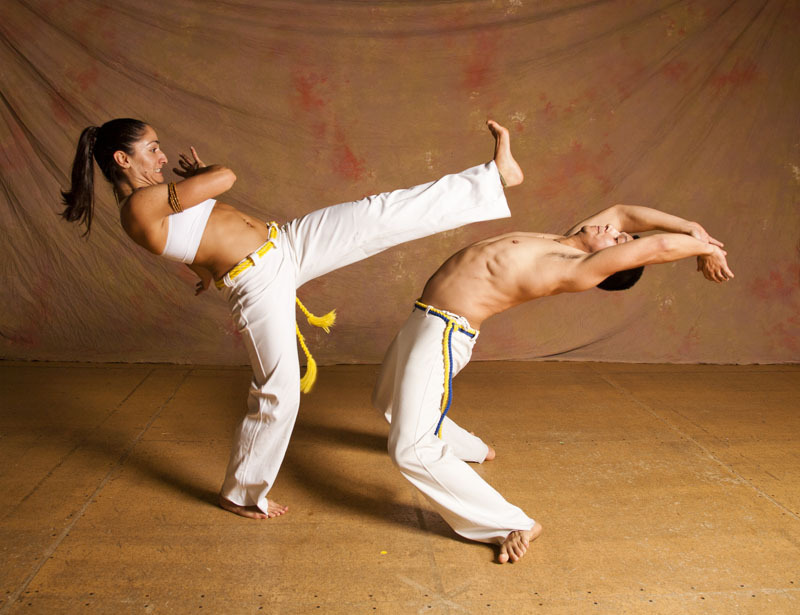 Q: Is capoeira good for kids? It can be amazing. 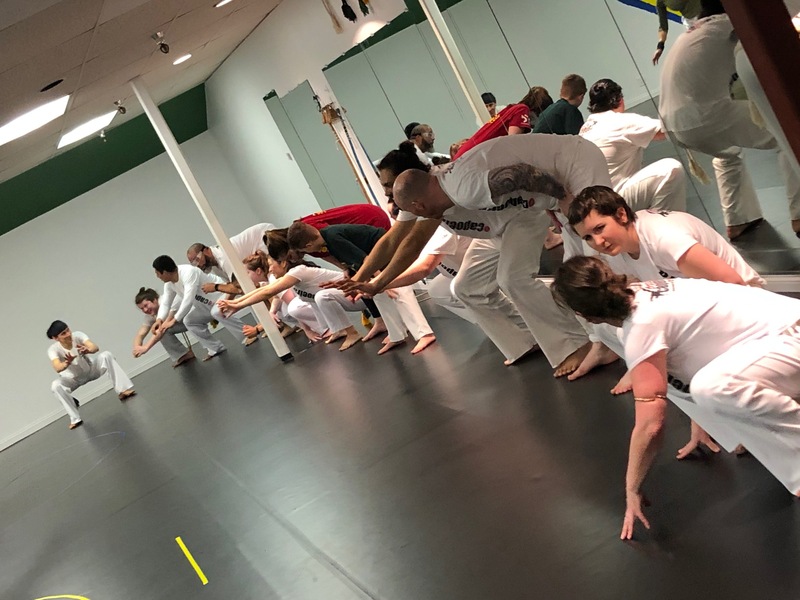 In a capoeira class kids are challenged with decision making, muscle memory development, respect and order, patience, and much more. 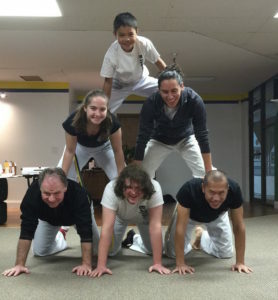 Kids that train capoeira for a couple of years are typically much more grounded and mature in their day to day lives. 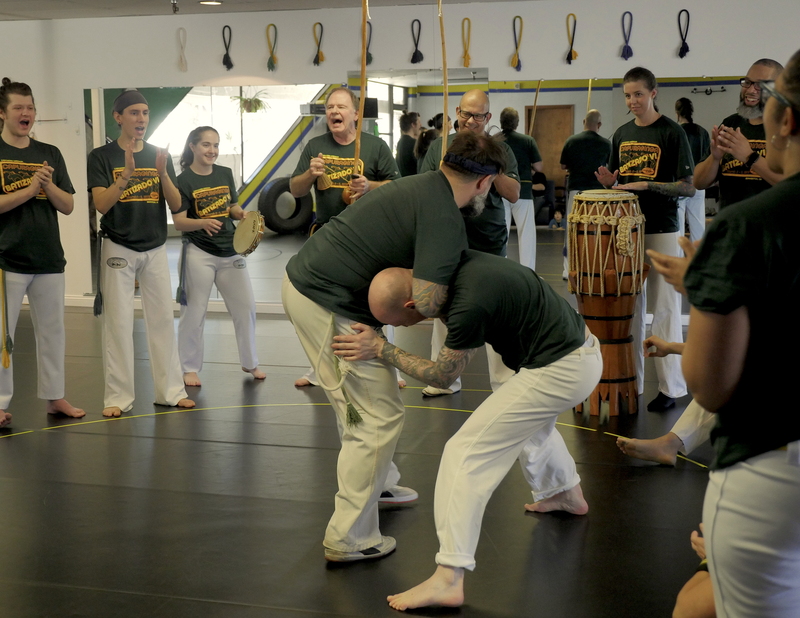 Q: Am I too old to do capoeira? 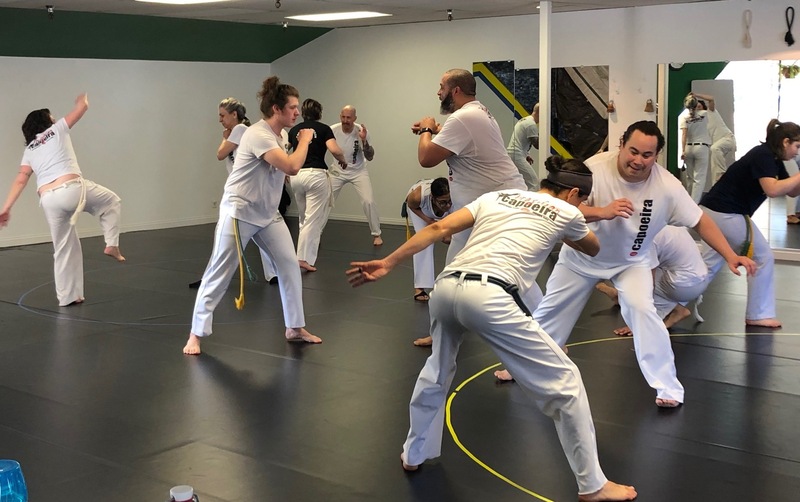 There are capoeiristas known to be well into their 80’s and others that are probably older. In our school in Beaverton we have students that range from 8 to 60 and every age group in between. It’s not so much about age, it’s about your willingness to development your body as you learn the sport. Q: Does your school require a long term commitment? 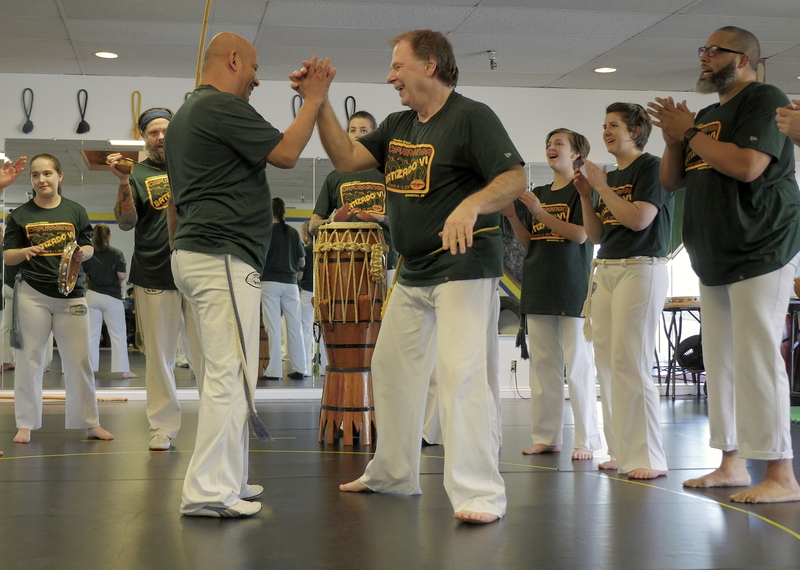 To fully begin to reap the benefits of capoeira each student should give it about 6 months. We encourage students to make a 6 month commitment and we offer discounts to encourage this minimum stay but it is not required. It is possible to pay month-to-month in advance but inconsistent participation can limit a students advancement and be more costly. Q: I have strange work hours, do you have classes that can meet my schedule? Currently we have classes three weeknights and on Saturday morning. We encourage students to attend at least 2 classes per week so it is quite possible that we can accommodate your schedule. We are also always looking to expand our schedule so stay tune for those changes. Q: Do I need special equipment to get started? Not at all. During your trial period you can wear athletic clothing for a hard workout and once you become a full time student you will purchase the basic pants, tees, and accessories. 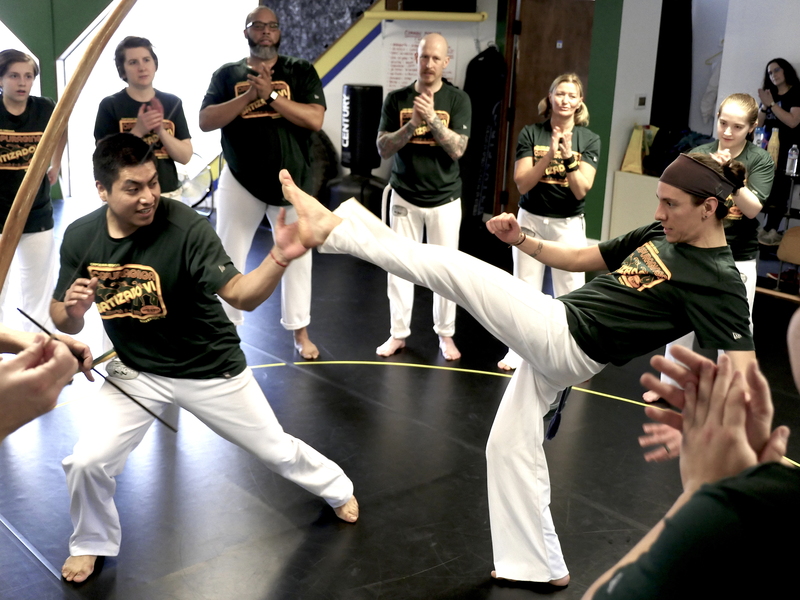 Shoes are not worn for most capoeiristas. © 2018 All rights reserved.Powered by Gardenia WordPress Theme.